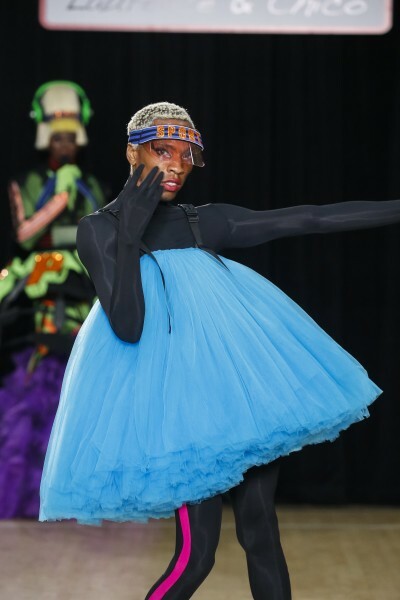 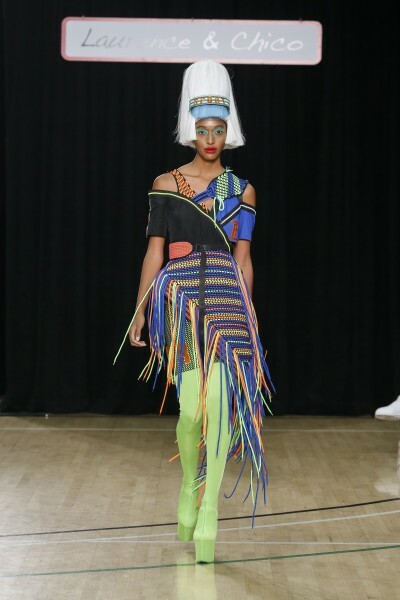 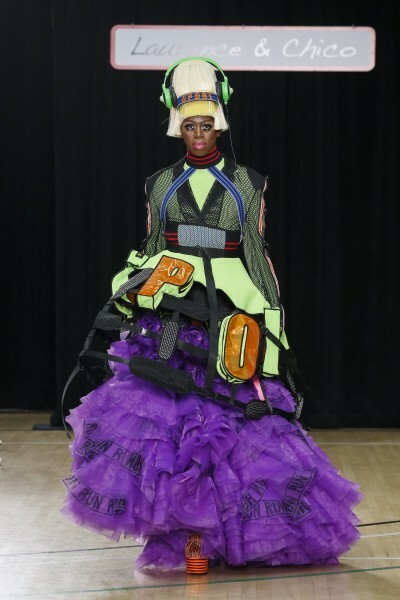 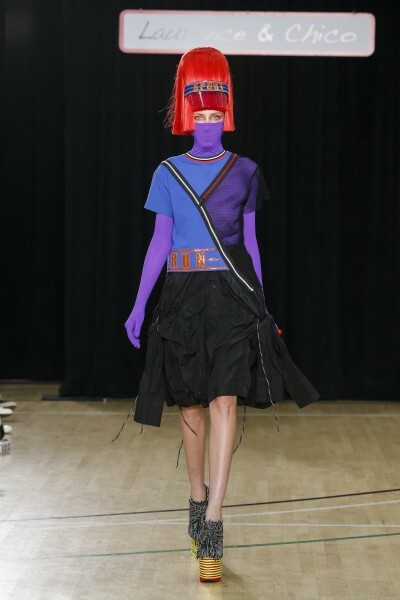 Held at Chelsea Piers Fitness Center in correlation with Laurence & Chico’s Spring/Summer 2019 ‘sports’ inspiration, dancing tulle loofahs and mushrooms were sent out onto the runway in a joyful ode to fashion. Former America’s Next Top Model judge and fashion coach, Miss J Alexander, emceed the show’s introduction, in addition to strutting down the runway in a dramatic layered purple dress with a net mesh overlay. 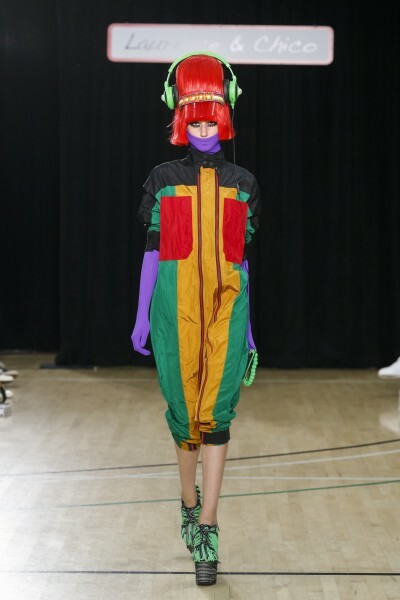 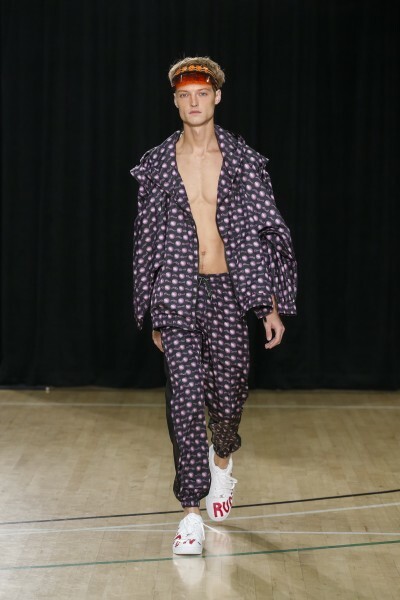 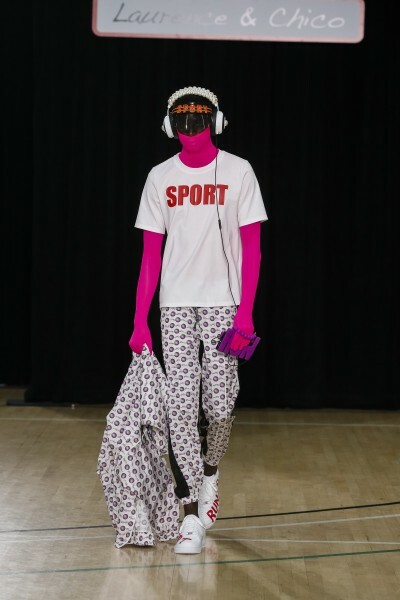 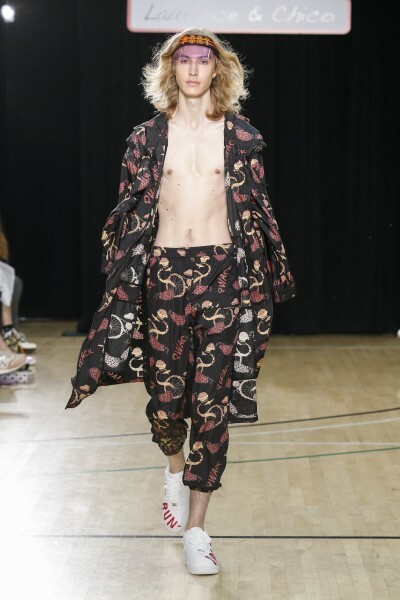 Admittedly, designers Laurence Li and Chico Wang “do not like exercise.” For them, “sports is all about being pretty” and their presentation dosed the audience with a heavy serving of whimsy and flair. 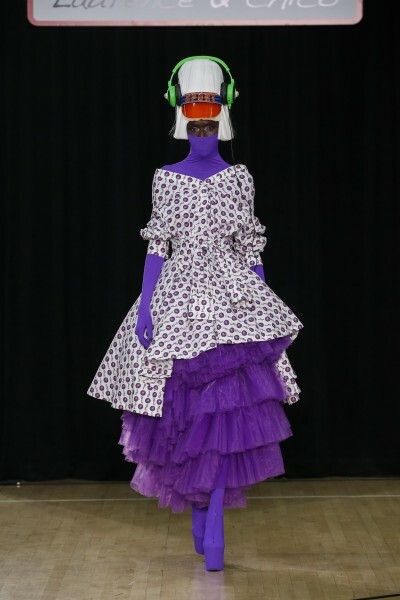 Much of the show comprised models wearing what appeared to be four- to five-inch platforms along with theatrical tunics, dresses, and tops. 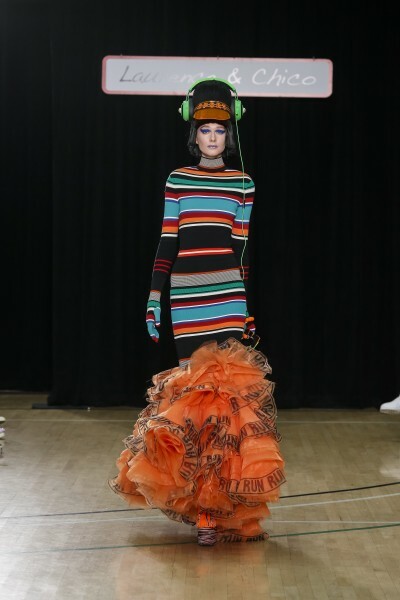 These were presented in neon orange, purple, green, turquoise and pink accompanied with tulle, layered evening skirts and skin tight turtlenecks. 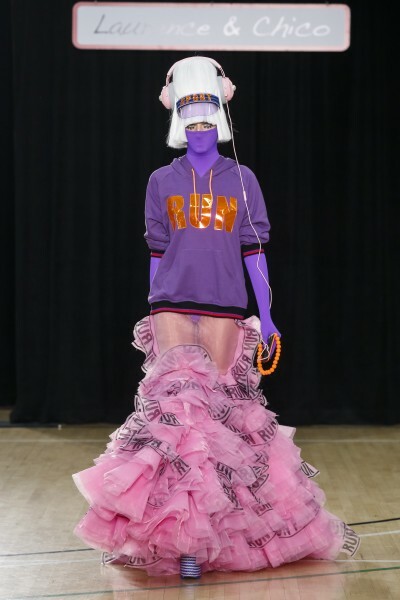 Quite a few designs could be worn on a daily basis, although not necessarily mixed in with the skin tight neon turtlenecks and multi-layered tulle skirts. 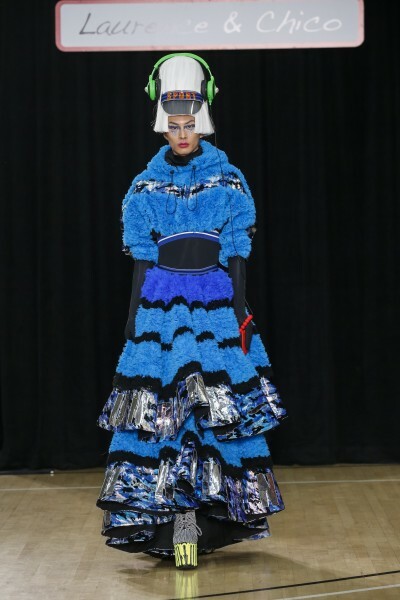 For example, the tweed textured pencil skirt and jacket would work for the office, and the purple hoodie and colorblocked bomber jackets would be suitable for as casual wear.